A Bernedoodle is a cross between a Bernese Mountain Dog and a Poodle. The Bernedoodle is one of the most rewarding breeds to own. Not only do they come with their unmistakable beauty but most importantly an ideal temperament. We chose to breed the Standard poodle and Bernese Mountain dog for multiple reasons. The combination of these two breeds give us such a wonderful combination of intelligence, patience, goofiness, loyalty, and having the asset of being hypoallergenic. The Bernedoodle comes in a few different colors. 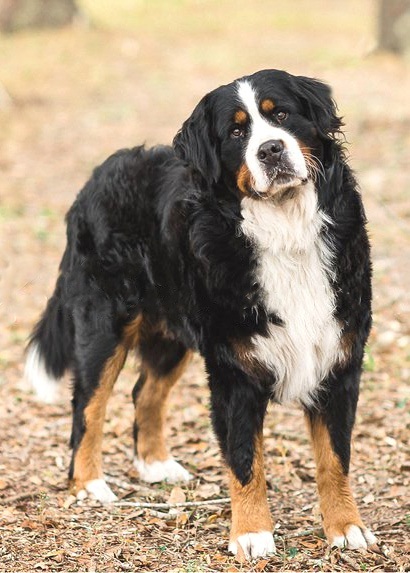 One being the traditional "Tri" color with most of the coat being a black and having the recognized Bernese Mountain Dog markings. ( Brown eyebrows, white mask and stripe around and up the nose, four white paws, and brown down and around the legs.) Another choice in color is called the "sable", this choice usually tends to have a brown coat with accents of black throughout. They can also have a white mask, white paws, and white chest. other options include having a full coat of black with possible markings of white throughout. They are a lll beautiful and all have the same great disposition. What sizes do Bernedoodles come in? What colors do Bernedoodles come in? 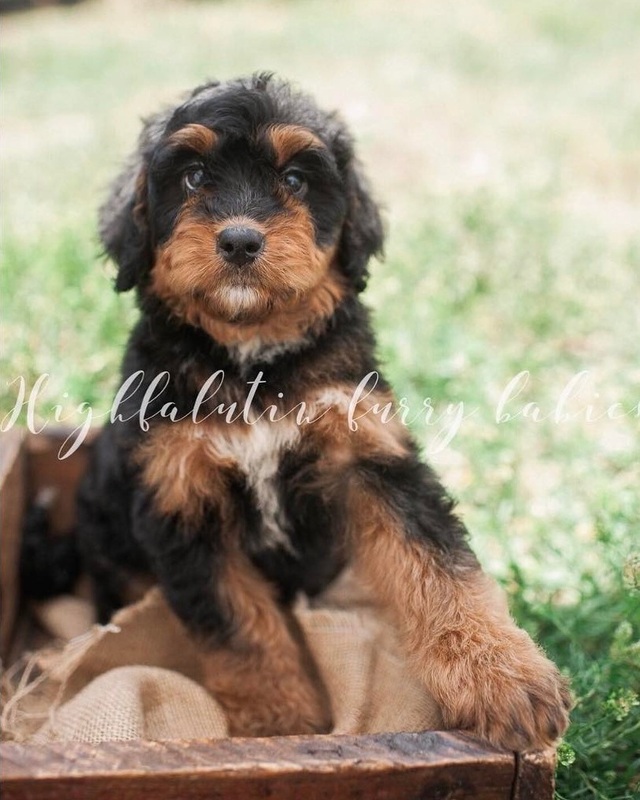 What are the different kinds of Bernedoodle?